A special exhibit of rare albumen photographs taken during 1872-1875 by frontier photographer, Jack Hillers, will be on display in the historic Maynard Dixon Home in Mt. Carmel, Utah from March 15 - Nov. 15, 2018. This is a must-see side trip for Utah National Park visitors this season. “Boy with Dog”: Photo of “U-in-tats” boy (as described on the original label) was taken in the Uinta Valley on the Western slope of the Wasatch Mountains of Utah by John Hillers (ca. 1872-1875). We determined it was the only known full group of 116 albumen photographs that existed outside the Smithsonian and needed to be saved as such. A special exhibit of 116 rare albumen photographs of American Indians taken in Utah and Colorado between 1872-1875 will open on March 15th, 2018 at the historic Maynard Dixon Home in Mt. Carmel, Utah. 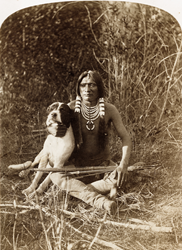 The Utah Tribes Exhibit owned by the Thunderbird Foundation for the Arts, is an extraordinary collection of images by John (Jack) Hillers, one of the most important American photographers of the nineteenth century. Hillers produced several sets to be used by John Wesley Powell to lobby Congress for more money for his expeditions. Hillers became Beaman’s unofficial assistant, helping move and set up his photography equipment that weighed roughly a thousand pounds, and included a large camera, portable dark room, tripods and large, very fragile glass plates used to make photo negatives using the wet-plate collodion method. Beaman’s historic photographs were to become the first images ever taken of the Green and upper Colorado Rivers. Having survived canyons such as Desolation, Labyrinth and Cataract, aptly named by Powell, the group left the river to winter in Kanab, Utah. Beaman left the survey in January 1872, after a dispute with Powell. Powell then put Hillers in charge of photography for the remainder of the expedition. Hillers would go on to work for the U.S. Geological Survey for the next 30 years as a photographer. He was especially interested in portraits of American Indians and worked for the Department of Ethnography under Powell’s direction to document indigenous peoples before their way of life disappeared. 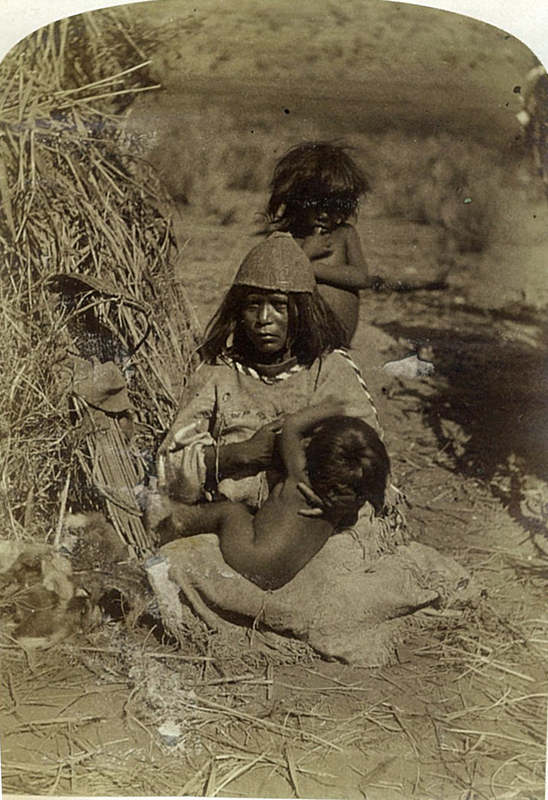 According to Utah photography historian, Nelson Wadsworth, Powell had a long association of mutual trust with the Kaibab Paiutes, fostered in 1872 by Powell and southern Utah Mormon leader Jacob Hamblin, the so-called “Buckskin Apostle.” This opened access to Hillers’ cameras, resulting in many of the pictures in the Utah Tribes Exhibit. Founded in 1999 through the Bingham Family Trust, the Thunderbird Foundation for the Arts is a 501(c)3 non-profit foundation whose mission includes the preservation and maintenance of the Maynard Dixon home and property in Mt. Carmel, Utah. Built in 1939 by Dixon and his wife Edith Hamlin, the foundation has been instrumental in having this important historical Utah property placed on the National Register of Historic Places and as such will be included as one of the places to visit on historic Highway 89. Located near the important early Utah settlement of Orderville, the Dixon home and studio are an important destination for visiting artists wishing to partake of the beauty and spirit of Southern Utah where great painters and sculptors, writers and photographers have come for retreats and convivial inspiration for over 60 years. “The Mother”: Photo taken by John Hillers (ca. 1872-1875), of a “Pai-ute” Indian mother and her child living on the Kaibab Plateau near Grand Canyon in Northern Arizona, (as originally described).Original photo is now on exhibit at the historic Maynard Dixon Home in Mt. Carmel, Utah. 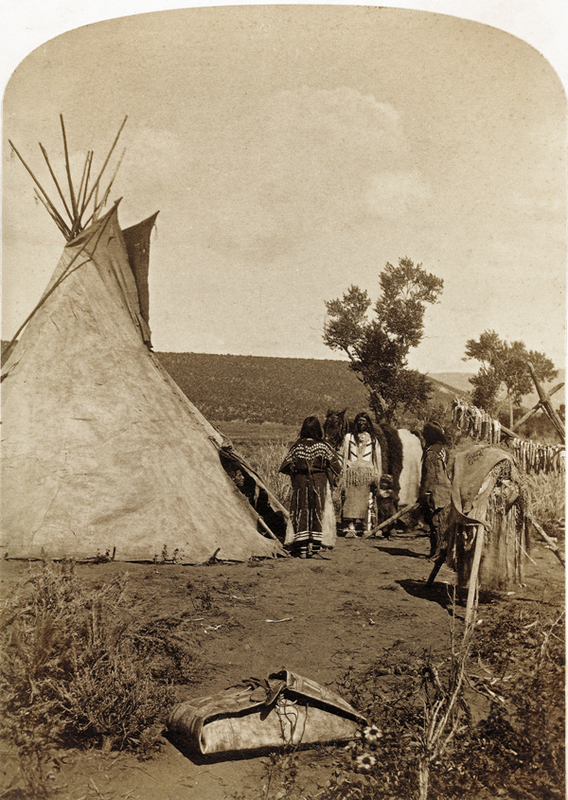 “Elk Skin Tent”: Photo of an elk-skin tent and “U-in-tats” Indians living in the Uinta Valley on the Western slope of the Wasatch Mountains of Utah (as described on the original label).Photo taken by John Hillers (ca. 1872-1875), will be on exhibit at the historic Maynard Dixon Home in Mt. Carmel, Utah, March 15 - Nov. 15, 2018.